Due to limited capacity on this tour please contact your cruise line about availability. 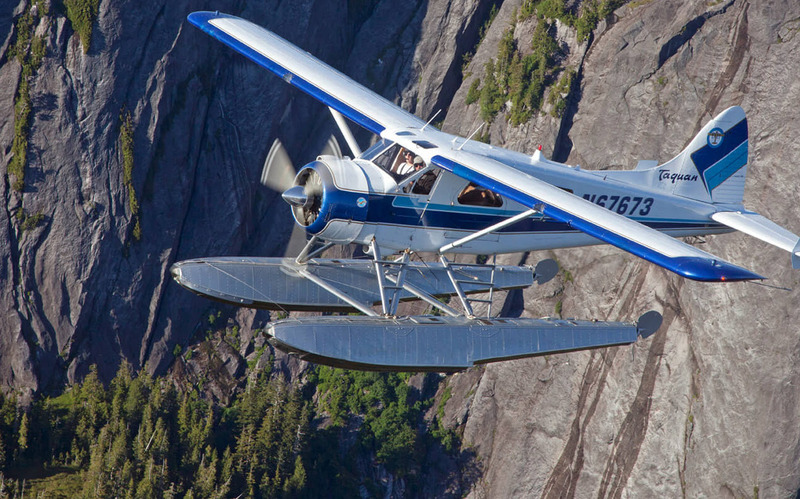 Explore Misty Fjords by boat and floatplane for high adventure in Alaska. People from all over the world come to Alaska to see Misty Fjords National Monument. If that’s what you’re looking to do in Ketchikan, we have just the tour for you. You can see the Misty Fjords from every angle, getting up close by sea, and flying over the monument to take in its magnificent vistas. As Alaska tours go, this one’s a photographer’s dream, showing off fjords that were sculpted by glaciers 50 to 70 million years ago. Your trip over the water and through the air. Your journey will begin as you board a catamaran for a scenic ride into the heart of the monument. You’ll glide past towering cliffs and 1000-foot waterfalls that plunge dramatically into the fjord’s emerald waters. You’ll see huge rock formations that will remind you of Yosemite, thanks to its similar geology. This is one of the places you must see in Alaska. To put it mildly. Along the way, your naturalist guide may point out an active eagle’s nest or an age-old Alaska Native pictograph. You’ll cruise past Punchbowl Cove and its columnar basalt formations. You’ll see the Mossy Wall bird rookery. And for a look at the massive geologic forces that shaped this area six million years ago, your catamaran will glide in for closeup of the New Eddystone Rock, a volcanic plug rising 237 feet out of the water. Throughout your cruise, you’ll be treated to snacks and drinks while you tune into the guide who’s describing the area’s natural history – in depth. Keep your eyes open and your camera ready because you might see seals, whales, and other wildlife. You can stay cozy in the cabin, or if you want the true mist-in-your-face experience, head for the outside deck. 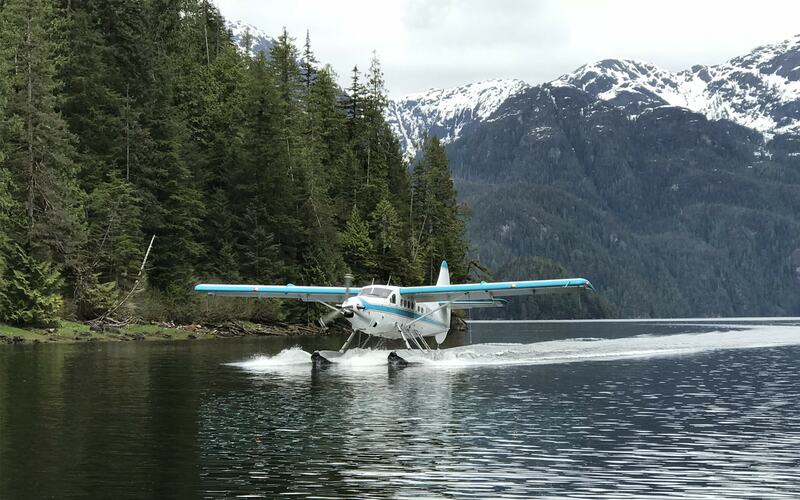 Your captain will head for the far reaches of a secluded cove, where you’ll transfer to a DeHavilland Beaver or Otter floatplane. Taking flight will show you the magnitude of this 2.3 million-acre national treasure. 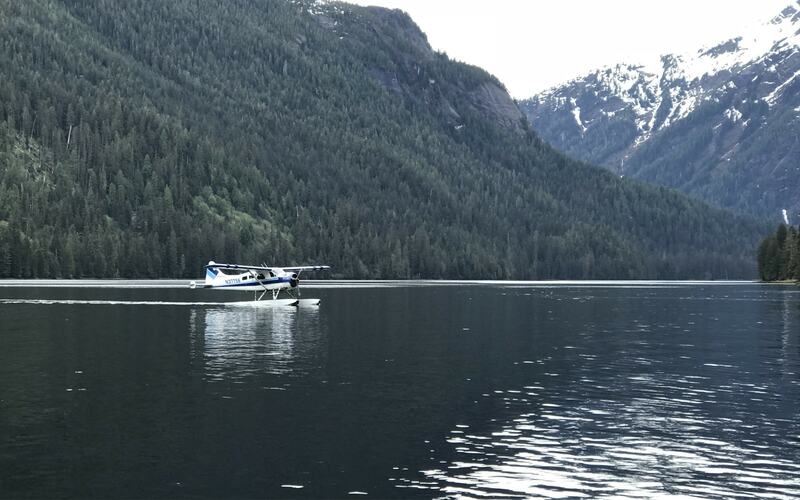 You’ll soar for about 25 minutes over pristine wilderness, seeing unspoiled forest and lakes, and taking one of the most exciting Alaska adventures you’ll have on your trip. 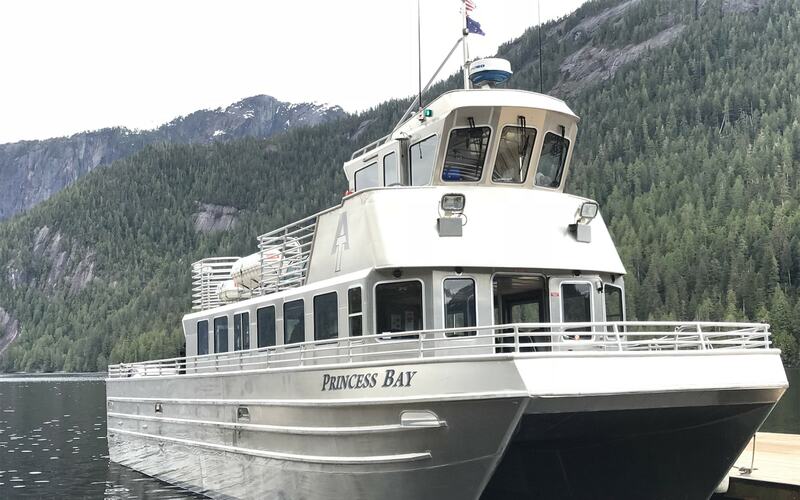 This is one of the Misty Fjords tours that will make a deep impression. Don’t forget your camera, binoculars and sunglasses. Please Note: Restrooms and light snacks are available on the boat. The tour may be also be offered in reverse (you can fly out to Misty Fjords; then take a boat back to Ketchikan). In the event of bad weather, this tour may be offered as a five-hour, round-trip, cruise-only tour. Passenger names and weights are required by the FAA for weight and balance calculations and flight manifesting. Non-slip shoes, layered clothing and waterproof jacket are recommended. This experience includes walking for short distances over relatively level terrain and several steps. Participants should be able to move into and out of buses or vans and into and out of confined spaces, such as small aircraft. This flight was very interesting. You get to see things that you could not see otherwise and from a different perspective. We did the flight to Misty Fjords National Monument and boat back. Highly recommend this flight as an excursion. This excursion was the highlight of our week long Alaska cruise! Our pilot, Adam, was both entertaining and knowledgeable. The scenery was absolutely breathtaking, and the flight was exhilarating. We take a lot of photos and videos on trips, but eventually, we put down the cameras. We wanted to take in the beautiful sights and we knew that pictures and videos could only capture a fraction of what we were seeing. If you ever have opportunity to fly with Taquan Air and take this tour, DO IT! This tour was really one of the best I have been on. Chuck (the pilot) was exceptionally friendly and interacted well with the passengers. 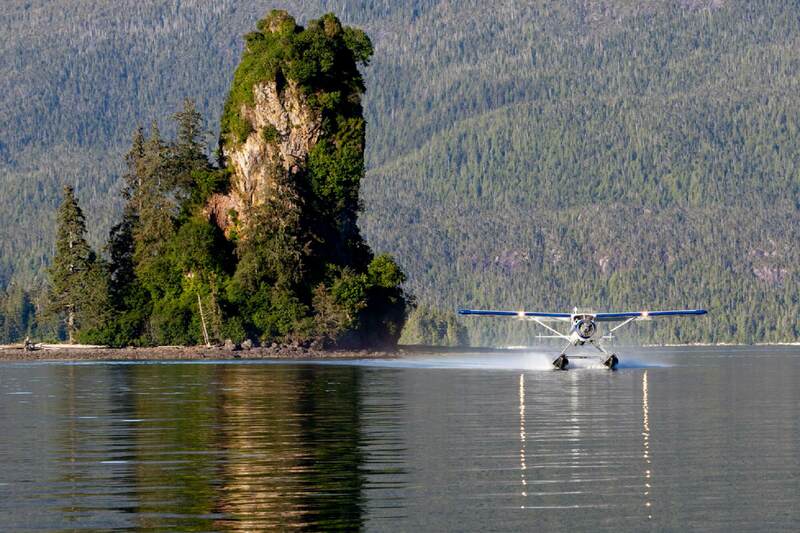 We flew in an otter de havilland float plane to Rudyard Bay in Misty Fjords. The views were just amazing and the plane was roomy. After landing in the bay, we took a boat back to Ketchikan. This is a must do tour. And I would ask to fly with Chuck again. Experienced a fantastic tour of the Misty Fjords. Loved the Beaver aircraft! Pilot Larry is a terrific pilot. Good, trustworthy people at Taquan and a solid organization. Thanks for a great and memory lasting experience!! Our Misty Fjords Flight Was a Thrill of a Lifetime! My husband and I always wanted to take this tour, and it was on our bucket list. While visiting family in Ketchikan, we were able to take this flight. The pilot, Clark Hassle, was friendly, knowledgeable, and highly skilled. His piloting skills were the best we ever experienced. We hardly felt the plane land on the glassy, glacier lake. The scenery was totally breathtaking. This flight is worth every penny as you will see the beauty of Alaska from a viewpoint you cannot get any other way but by flight. Taking a float plane is a fun experience as well. My husband and I highly recommend this flight for all ages. 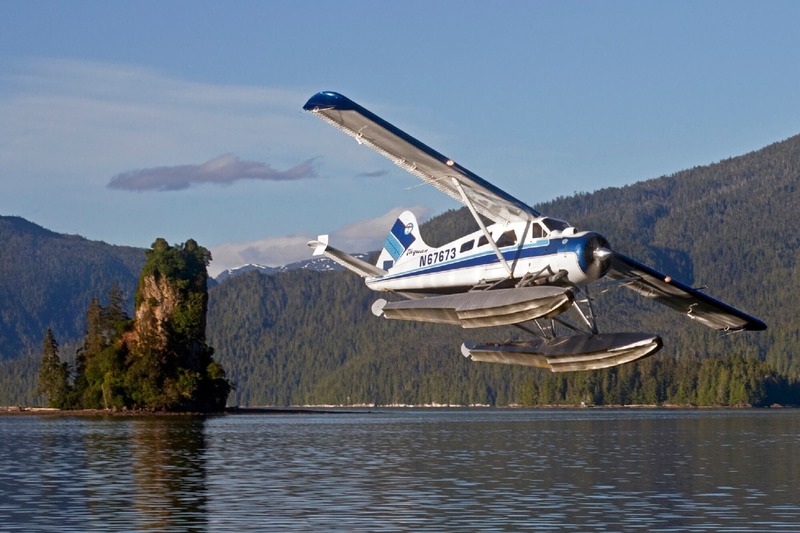 However, be sure you book with Taquan Air as they have the best safety record and best pilots in Ketchikan.